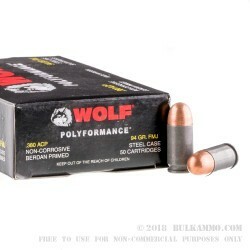 380 Auto ammo that’s cheap to shoot and works well in most broken in .380 autos, this imported ammunition by Wolf is a steel cased, 94 grain FMJ style load with good ignition reliability and more than adequate accuracy. It can be said that newer heavy sprung compact pistols are not good candidates for steel cased ammunition, and while that is mostly untrue across the whole range of compact firearms, it is something of a legitimate concern for .380 Autos – at times. 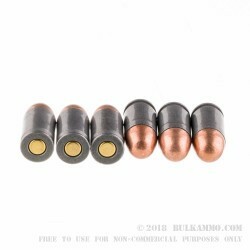 Most .380 Auto firearms should be able to handle these steel cased, polymer coated rounds that have an easy feeding round bullet profile, but there will be a few that will not digest this round well. The tight springs and the expansion of the springy steel cases can make for a difficult time extracting spent rounds from these types of guns. This concept is somewhat overblown however, as many people will hear something and pass the information on. 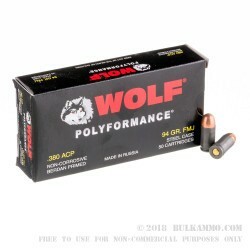 The WOLF Polyformance rounds should easily function with 95%+ of all firearms without concerns and the quality from manufacturer is exceptional. 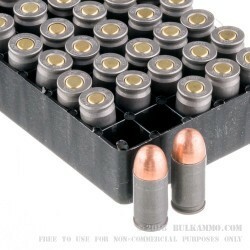 The value realized by shooting these rounds can be significant, especially wh3en used for mundane range round purposes most of all.